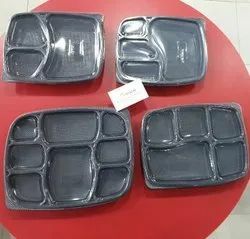 We are a leading Manufacturer of 5 compartment meal tray, plastic disposable tray, biryani packaging tray, 4 cp tray spill proof, 3 cp meal tray and 5 cp spill proof meal tray from New Delhi, India. 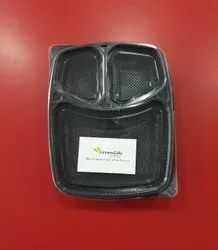 We are offering Meal Packaging Tray. 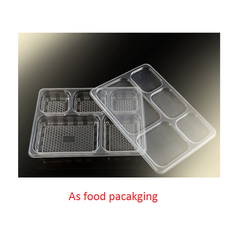 We are an acclaimed name engaged in offering our precious clients a superior quality range of Plastic Disposable Tray. 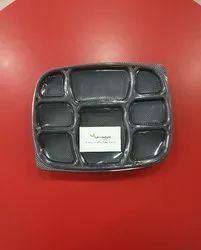 Our competency lies in providing our clients with an optimum quality Biryani Packaging Tray. 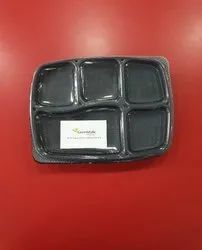 available in milky and black color .